In 2005, I submitted a recipe to allrecipes.com, a website that I have used for.ever! If you’ve never been on it and love trying out new recipes, you really should check it out. They have some great recipes, and the best part of all is that the people who review the recipes are home cooks, just like us! Ok, so back the to recipe ;o)…here’s the thing, while I can be a ‘touch’ stubborn on some issues, when it comes to cooking, I like to think that I’m a little more open minded. So when the reviews started coming in for my recipe, I actually listened and tried out some of the suggestions. 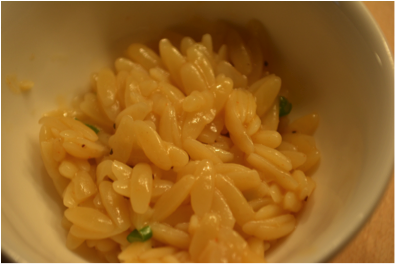 I tested and re-tested it…gave it a tweak here and there, and the result is my updated, Mock Risotto. If you’re looking for something different to serve with your chicken or fish this week, give this one a try. It’s super forgiving and really is a nice base recipe that you can doctor up to make your own. My suggestion would be to make it as is the first time, then play around with it. The recipe below is the one that I make the most (it’s my daughter’s favorite – she is as happy as a clam with a bowl of this and just inhales it!) I’ve made this so many other ways over the years…have some fresh basil and goat cheese sitting around? Throw that in (at the end)!!! Did your garden give you an abundance of zucchini that you don’t know what to do with? 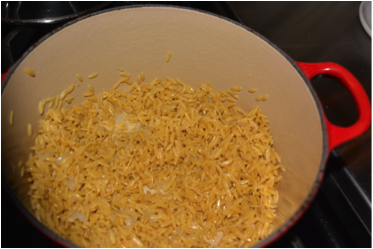 Shred ½ of that bad boy up, throw it in when you you’re sautéing the onions and garlic, throw in a handful of grated gruyere cheese and a tiny splash of cream at the very end…boom…you’ve got yet another great side! Want it super creamy (more like a risotto)? No problem – just substitute ½ of the broth for heavy cream or milk. Seriously, the sky is the limit with this one! 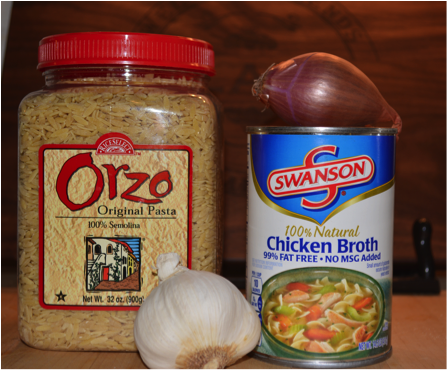 Orzo, shallot or onion, garlic and fat-free or low-fat chicken broth, smoked paprika. You want to start by sautéing the shallot (or onion) in some extra virgin olive oil (about 1 TBS) over moderate heat. Once the shallot starts to soften, add the garlic and smoked paprika and cook about another 1 to 2 minutes or until softened, but not brown (be careful that your pan isn’t turned up so high that the garlic doesn’t burn). 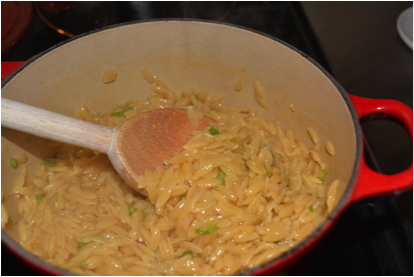 Once everything is mixed well and the orzo is nice and shiny, you want to add the broth. Stir it well with a wooden spoon, making sure to scrape the bottom of the pan just in case there are any bits sticking to the bottom of the pot. 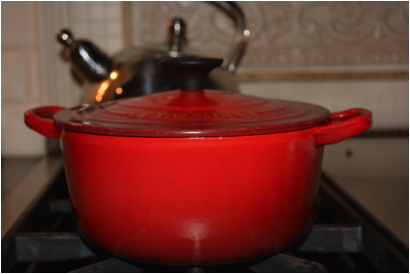 Turn the heat up to med/hi and partially cover the pan with the lid and bring to a low boil. 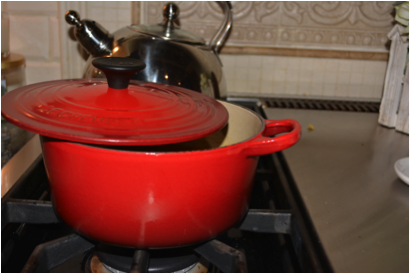 Once it has come to a boil, you want to stir it well, scraping the bottom of the pan, then turn the heat to LOW (I do it on the lowest setting on my stove), then cover the pan with a tight fitting lid, and let it cook for 15 minutes. 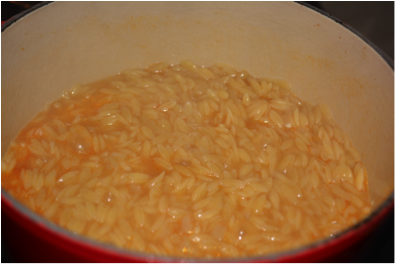 You want to make sure and give it a good stir from time to time to make sure nothing sticks to the bottom (especially towards the end of cooking) and make sure you put the lid back on tightly each time. I would say I do this anywhere from 2 to 3 times during the 15 minutes. 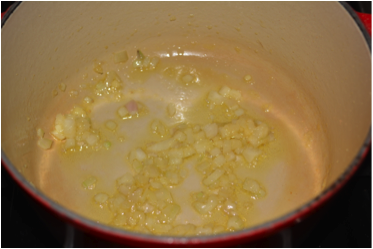 After the 15 minutes, remove it from the heat, give it another final stir, and add finely chopped green onions/scallions if you’re using them, season to taste with salt and pepper and serve immediately. If you don’t serve it right away, it may lose some of it’s creaminess – no worries, this is super easy to fix! Simply turn the heat back on to med/low and add a splash of broth, water or milk and stir well for a bit, then remove from heat and serve! I’d love to hear of any other combinations that anyone used when making this! 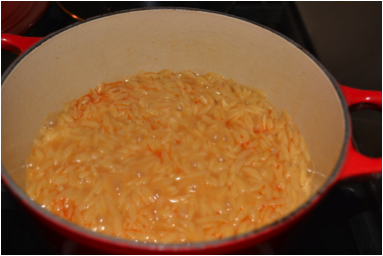 Another favorite in our house (my personal favorite) is to omit the smoked paprika, add a healthy splash of dry white wine when you add the broth, and at the very end, add a good handful of freshly grated parmesan cheese – LOVE that one too!!! Creamy and TASTY – it’s like a hug in a bowl :o) Enjoy! *** This serves 4 as a side dish, but doubles nicely if you want to serve 6 or more! !